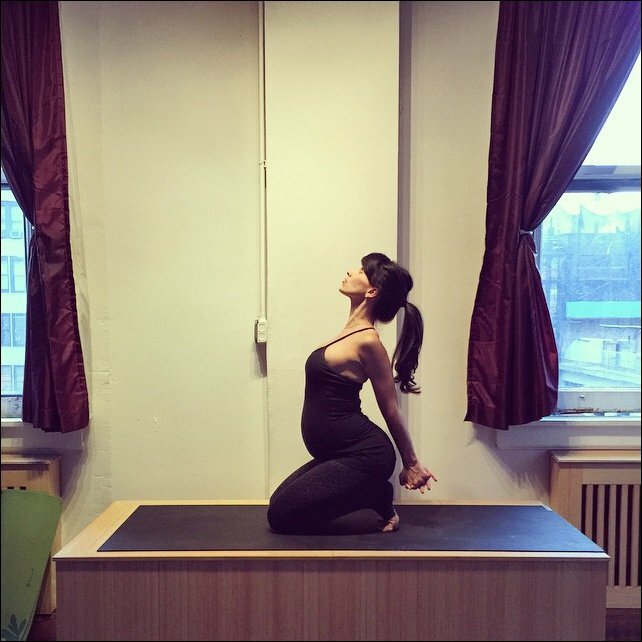 Yoga instructor Hilaria Baldwin recently posted a photo of herself doing some pre-natal stretches. The wife of movie star Alec Baldwin – who is expecting the couple’s second child together and first son – has actively kept fit throughout her second pregnancy. Something she also continued to do whilst pregnant with daughter Carmen Gabriela, 20 months. To follow Hilaria’s guide on pre-natal yoga – something she says is just as “great if your not preg too” visit Hilara’s fit pregnancy guide.